As a Dragon Ball Senator, will his ideals align with Goku, Vegeta, the tyrannical Freeza, or dare I say Roshi? 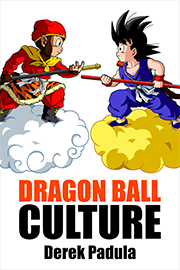 Join me as we speak with Nathan Johnson about his goals, how they relate to Dragon Ball, and its fans. 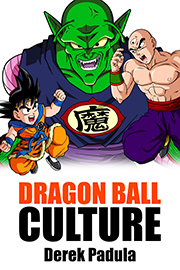 Q: Dragon Ball Z fans know you as the composer of FUNimation’s Dragon Ball Z: Ultimate Uncut Special Edition episodes 1 to 67, and 5 of the movies. In our first interview 5 years ago you mentioned you are also a partner in a Dallas law firm, and that you graduated from the University of Texas School of Law in 1993. So why is a former Dragon Ball composer running for senator in Dallas, Texas, in 2018? Nathan: Right, it’s not a common trajectory to go from law, to Dragon Ball Z, to law, to senator. In our last interview we covered the first three chapters pretty well. But the jump isn’t that extraordinary, really. A lot of people who go into law school have an interest in politics, because laws shape our society. We tend to think that our thoughts, feelings, and convictions shape our laws, but it also works the other direction—that laws shape our thoughts. For example, we passed the Civil Rights Act in the 1960s. For the current generation it’s unthinkable that our society would not honor civil rights. That’s one of the reasons law is so important: the laws we pass shape the way we think. Dragon Ball is one of the rare phenomena of super-popular pop culture products that ventures into all sorts of ideas about how society is ordered. A lot like politics. 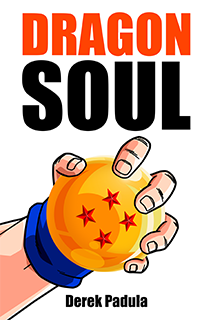 Q: Do you feel a connection to Dragon Ball’s principles and spirit after having worked on it for all those episodes and movies? For example, there’s idealism, the idea that everybody has hidden potential, and that we have to work hard to achieve our ideals, despite the difficulties. How do you feel about those principles in relation to what you’re trying to do as a senator? 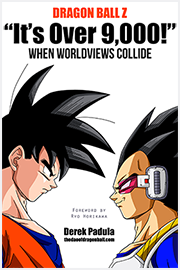 Nathan: One of the things that is comparable to my political philosophy, is that in Dragon Ball you have episodes that deal with a set of very different kinds of people—sometimes different species and people from other planets—but they have to work together. Sometimes we find that a person who was formally your opposition is now your ally. Through show after show and various movies you see how unlikely combinations of personalities and abilities come together to fight a common threat. I’m thinking of The Tree of Might right now, but you can also look at all the episodes. Tell me, how many times do we see a character’s unusual characteristic become vital due to a combination of unusual characteristics in the team that ends up winning the day? I like that about the Dragon Ball spirit, or model. Do I feel connected to it? I had to be. I was in it. To write music for the show I had to put myself into the storylines. 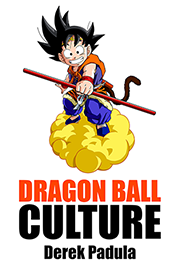 I can never not be a part of Dragon Ball Z.
Q: What are the main principles of your platform? Nathan: I’m running for the senator position in Dallas—875,000 people in my district—but my platform goes across the whole state. Texas is suffering from a… it’s beyond the right wing, it’s no longer on the axis [of left and right]. The problems with the state right now are that we have an aggressive, regressive, social agenda based on irrational fears and phobias and biases and prejudices. This has been present in society forever, but, for the first time that I’m aware of, it has become dominant. In the past couple of sessions we have wasted inordinate amounts of time and money on things like bathroom bills, attacking undocumented immigrants without regard to their civil rights or contributions to society, and with no regard for the facts. Illegal border crossings are at a 17-year low, but that is the focus of our senate. Meanwhile, we have school vouchers and other ideas that have proven not to be effective. We’re failing at the basics. State governments are supposed to do 4 basic things: Health and Human services, infrastructure, criminal justice and law enforcement, and education. While everyone is running around the Texas Senate arguing about bathroom bills, we have poor funding for education, an unhealthy state with a low rate of health insurance, an inability to keep up with the maintenance requirements of our roads while we have a growing population, and our criminal justice system wastes not only a tremendous amount of money, but human potential. A lot of these issues that we think of as social issues, or that conservatives argue, ‘oh, we’re going to waste money on these social issues,’ well, I’m in a fairly conservative district, and part of my job is to bring attention to the fact that the neglect of the social fabric of society poses an economic problem. If you don’t have educated kids, who is going to work at your companies? If you don’t have healthy people, are they going to take care of their children, are they going to get jobs, earn high money, and then pay sales taxes? Because that’s how we earn revenue in this state. If you’ve got your prisons full of kids who can’t read, it’s extremely expensive to society. My platform is that we need to take care of basic social services, invest in education and health, and then our business climate will benefit from that. Of course there are a million nuances to quality services in the Legislature, but those are the fundamentals. There are 6,000 bills that came in to the Texas legislator in our last session, and we have 6 months to get through them. About 1,200 of them passed. It’s not all about bathroom bills and education bills. There are literally thousands of other bills, so we want people in office who have a rational, practical, moral, and responsible approach to all these things. Not ideologues that are getting in there trying to impress you with how absurdly reactionary and rightwing they are. And that’s what we have now. Q: The current senator in District 16 is republican Don Huffines. He was proceeded by John Corona for many terms. In fact, the last 8 elections have gone to republicans. It sounds like you don’t feel this has been good for the citizens of Dallas. It reminds me that Dallas has the lowest rate of voter participation in the United States. In fact, in the last municipal election in 2015, only 6.1% of voters showed up. So what will you do to speak to these disenfranchised voters, and perhaps the Dragon Ball fans in the audience who may want to go out and vote for someone they feel can help them and their community? Nathan: Don Huffines is the Republican incumbent, and you’re correct that the last 8 elections have gone to republicans. His predecessor was John Corona, who by any measure was a productive senator. People on the left side of the aisle can disagree with him, but nobody thought he was obstructionist. Everybody knew he was willing to work and compromise to pass good legislation. Would we rather have someone with more liberal policies in there? Of course. But it wasn’t the kind of cataclysmic future we’re facing with Don Huffines and Dan Patrick [Texas Lieutenant Governor, who presides over the Senate] in there. You also observed that the voter participation in Texas and in Dallas is bad. I’m not running in a municipal election where the voter turnout is so atrocious. It’s a statewide election and there are federal offices being voted for at the same time. So our turnout will be a little better than that. But what’s happened in Texas, even if we have a decent turnout in the general election, there’s a presumption that the Republican Party will carry it. I am running as a Democrat. But Republicans need to realize that when it is predetermined in the minds of the voters that the winner will be a Republican, the only thing you have is a primary. Primaries are typically controlled by the fringe, because centrists don’t vote in high numbers. People on the wings come out. So you have a sliver of the population, 3 to 5%, driving the results in the primary. That fringe comes out in March, elects Don Huffines, and then you get to the general election in November and 90% of the people think Huffines is the wrong person, but it’s too late. There is no Democratic challenger. Who feels disenfranchised? Almost everybody. But there is a change in the air right now. How am I going to do it? The North Texas region has very strong candidates running against some Republicans who have drawn the ire from their own party and from the left. That’s helpful. Huffines himself is helpful because his positions are so outrageous that they have earned him the disaffection of Republican voters, and of course Democrats can’t stand him. Which is not to say he isn’t a man of true conviction, he really is, he believes what he’s doing and he wants to make the state better. It’s just that he has really bad convictions. My job is to get people to understand that. Hillary Clinton won this district against Clump. Er, not Clump—although that’s not a bad name for him. Trump. Clinton won because they all knew who Trump was and who she is. I’ve got to make sure people know who Don Huffines is, and make sure they know who I am and what I stand for. One key to that is Dragon Ball Z fans. And I’m not kidding. 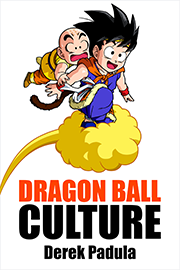 Dragon Ball Z fans are concentrated in the millennial age group. And it forms close to a third of this electorate. Their turnout is historically poor. But they’re getting older, starting to have mortgages, and starting to become more aware of politics. They’re a passionate generation and care about certain topics, but they are unimpressed with politics. Voting patterns are established for the rest of the generations, but when millennials enter the fray, they’re going to be the swing vote, like Anthony Kennedy on the Supreme Court. And if I pick up a few swing votes from millennials, then I’ll win this election. Dragon Ball Z fans are the kind of people who like to look at issues in a non-black-and-white way. A more nuanced approach to the world. More interested in different viewpoints. So I have no doubt that if they pay attention to this, they’ll want to get Don Huffines out and get me in there. I’m counting on it. Q: Dallas is also the home of FUNimation, the anime headquarters of the United States, so there are a lot of Dragon Ball Z fans in Dallas. Nathan: There are. I meet Dragon Ball Z fans every day. There’s a local podcast in Dallas called All (Dallas) Politics is Local, hosted by a very smart young man named TC Fleming. In our interview he thought the most interesting fact about me is that I had worked on Dragon Ball Z. 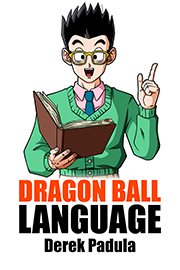 He said, ‘I was never into Dragon Ball Z, but all my friends were.’ He thought that was really cool, and he’s probably reaching Dragon Ball Z fans right now. 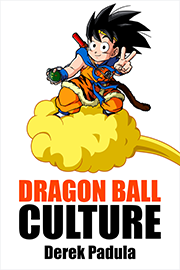 Q: Dragon Ball Z fans, especially if they’re fans of Goku, they tend to be idealists, and tend to believe you have to persevere, work hard, and by doing so you’ll achieve great things. And if they’re fans of Vegeta, they tend to be more pragmatic, but still idealists in the sense that you have to take pride in yourself and work hard on what you are best at, but not so antagonistic that you can’t work with others. Vegeta transforms himself, changes, and becomes a better person, becomes a family man and cares about others. So there’s characters in this series that everybody can relate to and that inspire them to be better people. Also to take care of the environment, to work with science, be broad-minded. It’s a series that has a lot of values and lessons in it, even though it’s silly so much of the time. The silliness in Dragon Ball has value in it too. While we’re pursuing all these high-minded goals, a lot of the wisdom is to not take yourself too seriously. Goku in particular is a self-effacing hero. Q: Let’s focus on a specific issue: the environment. If a Dallas-based corporation created an all-consuming Tree of Might that destroyed the environment, but in the process created lots of energy and jobs, what would you do? Nathan: I would blow up the tree. I would call Goku for help, and the small floating guy, Chaozu. We need his help as well. Different characteristics. That’s short-term thinking. If you think you’re going to create 20,000 jobs, but it destroys the environment, what are the jobs going to be in 10 years—piling up all the bodies? You can’t think that way. We just can’t pollute the environment. We have to be environmentally responsible. Texas is an oil and natural gas producing state. Right now, natural gas is resulting in a decrease in carbon pollution. There can be such a thing as responsible natural gas production, but if you release methane into the atmosphere it will have a worse global warming effect than the burning of other fossil fuels, so it’s got to be well-regulated. I do think there are responsible people in the industry. Liberals might get mad to hear me say that, but I know some. They have the attitude of, ‘I welcome regulation. Just make sure everybody is regulated the same.’ We’re going to keep buying gas and oil for some time until we get enough wind, nuclear, and solar power. These are terrific technologies, but they’re not at a point that can meet our needs, and we’re not all going to live without air conditioning. These fossil fuels are going to be extracted, refined, and consumed. This is serious stuff. We’ve got rising temperatures, rising oceans, hurricanes, droughts that affect crops, and workers suffering in the heat. For example, houses won’t be built as quickly because workers can’t stay out in 120 degree heat. We have got to take environmental stewardship responsibly. I do think the state can work with industry, and the industry will absolutely have to work with the state, to make sure we do a good job in supplying our energy needs, but not polluting. So am I going to sell out to the energy companies? No. Nor do I think that will be necessary. The companies know they’re going to have to operate responsibly. Q: One hot topic in Texas is immigration. You mentioned that illegal border crossings are at a 17-year low, and yet Trump insists on building his border wall. How do you explain that disconnect? Nathan: Disconnect is a good word there. The undocumented immigrant population in Texas contribute mightily to the tax base and work force. If we were to round up all the undocumented immigrants and send them home, our economy would come screeching to a halt and crash. And I think most people know that. Why does Trump say it? He’s a showman. He’s running a reality show, not a presidential cabinet as an executive branch of government. He may actually believe what he’s saying, but I don’t think he even knows the difference between saying things and believing them. I have no sympathy for him on the immigration point whatsoever. You may accuse me, ‘What, are you for open borders?’ No. Look, every country has immigration policies. We want to be smart about that, fair to people from both countries, recognize contributions, and recognize the limitations of our abilities to open our borders to everyone on earth. I don’t see this as a big problem in Texas. Immigrants do not come here to commit crimes. They come here to work. And when they get here they work hard. Do immigrants commit crimes? Yes. Do citizens commit crimes? Yes. And statistically the immigrants commit crimes at a lower rate than residents or green card holders and citizens. It’s just a lot of nonsense, but it works for him because it riles people up. Throughout history people have managed to come to power by blaming society’s ills on people who don’t have the power to protect themselves. That’s what he’s doing. As far as building a wall, that would be horrible for Texas. Mexico is our #1 trading partner. It will create all kinds of problems, not to mention a bad attitude problem between the two countries. I hope it doesn’t become a reality. Q: After Hurricane Harvey, Mexico sent aid relief to Houston. They may not have been able to do so had a wall been put up between us. Nathan: That’s an excellent point. We ought to consider that in light of one of the dumbest things our Texas Legislature has done for the past two sessions. Starting two and a half years ago our Legislature has authorized the expenditure of $1.65 billion Texas tax dollars to go down to our borders and hire agents to do the federal government’s job of border enforcement. Texas is fond of saying they’re independent of the federal government, but here we are signing up to do the federal government’s job of stopping the flow of undocumented immigrants to this country at a time when they’re at a 17-year low, when we have slashed virtually every vital budget in our state, to do something we need not be doing. It’s lunacy. That’s wasted money, and the funds would be much better appropriated somewhere else, such as pre-K education. That includes for undocumented immigrants, because you know what? They are here. And we need them to learn and be a functioning part of our society. To be productive, have jobs, and pay taxes. Q: Goku is an illegal immigrant. He’s an alien from another planet. What would you do if an alien crash lands in Dallas? Would you send them back to their home planet, or would you allow them to grow up here, go through the foster care system, get adopted, and become strong? What if that immigrant transforms into a giant ape and becomes a criminal? Or perhaps they grow up to become a hero who serves the community and saves the lives of others? Nathan: You don’t really know when they get here. I know what Huffines would do. He’d try to send them home. He tried to take Texas out of the Asylee Relocation Program. All he managed to succeed at is make it so Texas doesn’t have a voice in what the federal government does. So the space ship comes down and drops them off. Somebody like Goku would walk off the ship with an H-1B saying, ‘I have special skills,’ so he’d get to stay. But everybody else on the ship, we’re not sure how they’re going to turn out. I want to give them a chance. Give them an asylum interview, see if they’re fleeing persecution. Maybe hostile members of their planet back home are threatening their lives, and they’ve come here to escape that and contribute to our society. Or if they’re thugs, we send them home. Q: If you could say one thing to Dragon Ball fans to help them understand why you’re the best candidate for the job, what would it be? Nathan: I recognize the value in everybody, and I want to make Texas into a place where everybody has an equal opportunity and can contribute equally. The full cast of Dragon Ball Z characters, you’re all welcome in my district, to be here and enjoy the benefits of our society. I want you to enjoy them so you can contribute to the economy and the richness of our culture. That would be one great show. Q: It’s the show of America. How do you feel about former Dragon Ball Z composer Nathan Johnson transforming into a politician? Will you help Nathan attain his ultimate form as a United States Senator?